This Situation Update describes events occurring in Hti Lon Township, Hpa-an District in March 2014, including dam construction and the subsequent destruction of villagers land due to flooding, forced relocation, and land confiscation. Soldiers from Tatmadaw Light Infantry Battalion (LIB) #203 constructed two dams in Hti Lon Township, causing flooding which destroyed paddy fields & plantations in two villages. 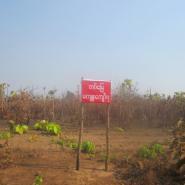 The villagers attempted to negotiate with the Tatmadaw and request compensation, but were ignored. 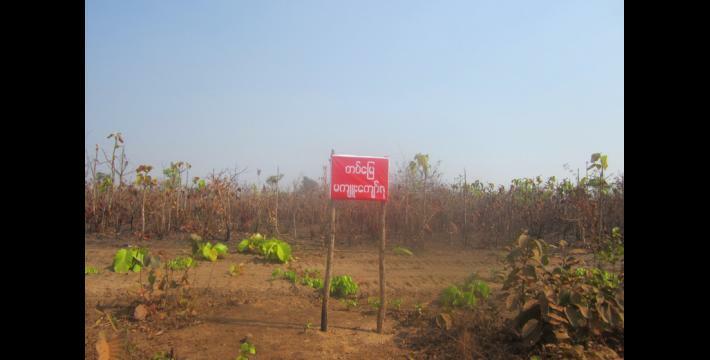 In A--- village, which was affected by flooding, the Tatmadaw also confiscated land owned by 12 villagers. The Tatmadaw confiscated the land and forced the villagers to move their homes to the periphery of the land, or off of it entirely. These villagers also described further suffering from discrimination and oppression due to their identification as kaw la thu, a S’gaw Karen term used to describe those perceived to have dark skin. The following Situation Update was received by KHRG in April 2014. It was written by a community member in Hpa-an District who has been trained by KHRG to monitor local human rights conditions. It is presented below translated exactly as originally written, save for minor edits for clarity and security. This report was received along with other information from Hpa-an District, including seven other situation updates, 1080 photographs and two video clips. I would like to report that the Tatmadaw have constructed a dam near A--- village, Hti Lon village tract, Hti Lon Township [Township #5], Hpa-an District. 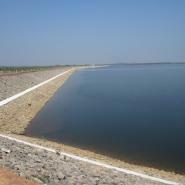 Due to the dam, water has flooded the villagers’ paddy fields and plantations, which has impacted their livelihoods. The Tatmadaw soldiers that are situated in A--- village are from LIB [Light Infantry Battalion] #203. 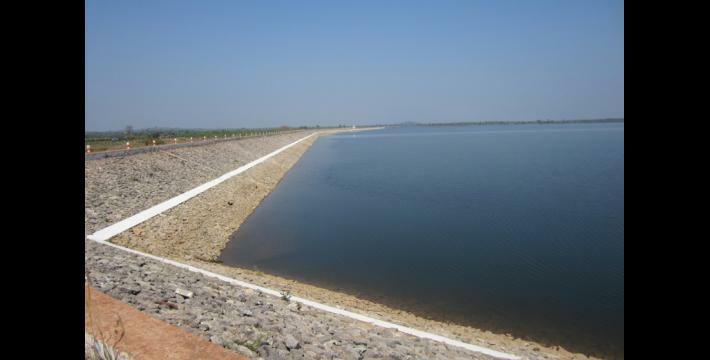 The Tatmadaw also constructed a dam in Maw Ko village, impacting the village and the villagers’ paddy fields. The names which I have listed above are the individuals whose land, paddy fields, and plantations have been flooded after the Tatmadaw constructed the dam. The names that I have listed here are only those from Maw Ko village. As the water began flooding their land, they tried to speak with the Tatmadaw, but the Tatmadaw did not do anything for them. These villagers are kaw la thu, and they are those whose lands were flooded due to the dam constructed by the Tatmadaw. Although they asked for compensation from the Tatmadaw, the Tatmadaw did not listen to them. The two villages have to suffer [from the same issue]. One area is in the upper [Eastern] side of Maw Ko village where Karen people live and another area is in A--- village where the kaw la thu people live. The dam the researcher is referring to is the Yay Boat Dam (also called the Hti Lon Dam), which has affected a number of villages in the area. For more information on this dam, see “Hpa-an Short Update: Hti Lon Township, March 2014,” KHRG, August 2014. Kaw La Thu, “thu” meaning black, is a S’gaw Karen term which is sometimes used to refer to individuals in Burma/Myanmar who are perceived to have a darker skin colour. In Kayin state, it is often associated specifically with followers of Islam (Muslims), although this association is sometimes erroneous, and Muslim individuals do not typically self-identify with this term. In this case, the villagers self-identified as kaw la thu, and our researcher subsequently assumed they were Muslim.However, upon interviewing them he discovered that while they self-identified as kaw la thu, they were in fact, Buddhist. This example highlights the complexity around ethnicity and religion as markers of identity in Kayin state, and as the villager describes, those who are identified as kaw la thu face discrimination due to their perceived skin colour, regardless of religious orientation.